We choose 95% fiber gusset fabric for babies and your health. V-Shape Low-Up Waistband Design 360 fits you. Soft fibers Material to protect your private health and to be breathable and more antibacterial to wear. V-Shape Low-Up Waistband Design 360 fits you. 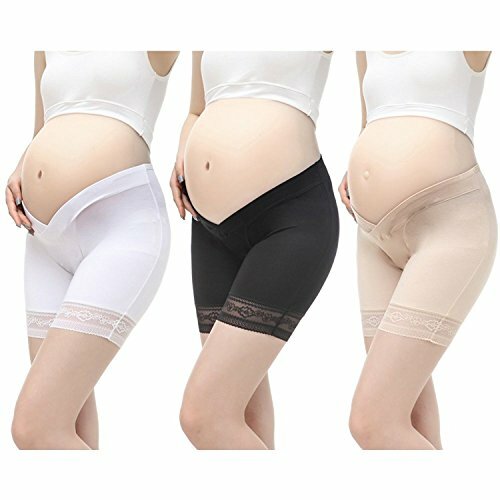 Soft, Low Waist, Seamless, Hand Wash.
Front crossover design, does not increase the pressure on the stomach, but if there is sufficient support, the pregnant women provides a pleasant experience, comfortable without oppression. If you have any questions about this product by VIGOO, contact us by completing and submitting the form below. If you are looking for a specif part number, please include it with your message.